The whole area of dog vaccinations is one that seems polarise opinion amongst dog owners as a whole and that includes owners of Labradors. The debate usually revolves around the frequency of vaccinations and surely there won't be anyone who thinks that their dogs shouldn't be vaccinated at all? 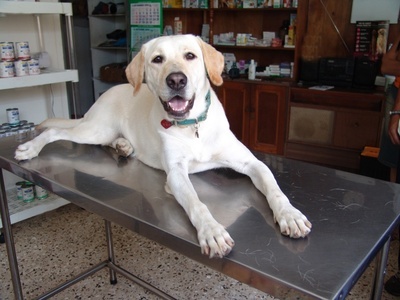 Certainly all puppies should be vaccinated against the most potent and threatening canine diseases, those which can seriously affect Labrador health. This awful disease can be contracted by any puppy though some breeds of dog, such as Rottweilers, seem to be effected more than other breeds. Labradors aren't particularly susceptible which is good news. Parvo can be fatal if not treated early and symptoms include diarrhoea, vomiting and fever. A very unpleasant disease. Canine Distemper Virus is an horrendous disease that used to be a massive cause of death in dogs. Happily, CDV is very much under control now and that is due to the effectiveness of the vaccine and its widespread use. 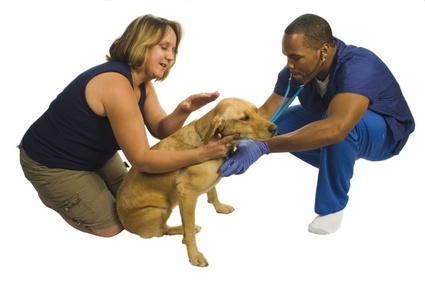 Like us humans dogs can contract flu so it is important to vaccinate them against it. This has similar symptoms to Parvo but isn't as serious. Not all dog vaccinations will include Coronavirus. Humans can catch this bacterial infection from their dogs and it is unpleasant for both people and canines. Symptoms include fever and vomiting. In some countries, including the United States, vaccination against Rabies is mandatory and required by law. Rabies can be fatal for humans as well as dogs so make sure your puppy is vaccinated against it. Vaccines are administered over the course of a few months and your vet will recommend a schedule beginning at around 6 to 10 weeks. The vaccines are usually applied once a month. This is so that the dogs immune system is steadily built up over the course of its first year of life. At the start of this article I mentioned that there is a debate amongst dog owners about how frequently their dogs should be vaccinated. Some believe that dogs should be vaccinated every year whereas others think that after the first year, vaccinations should only be applied every two or three years. Those who think that vaccines should be administered every two or three years believe that annual vaccinations can cause illness and dogs can have adverse reactions. Personally, I think dog vaccinations administered every two years after the age of two is adequate to protect your dog - but there are other considerations to think about irregardless of how often you think your dog should be vaccinated. Insurance companies and kennels will usually insist on the dog having current vaccinations if they need to be insured or kennelled. The bottom line is that the frequency of vaccination is down to the personal preference of the owner. But, what isn't in doubt, is that all puppies must be vaccinated in their first year.